A nanometer is small: really small. It is too small to see with the naked eye. 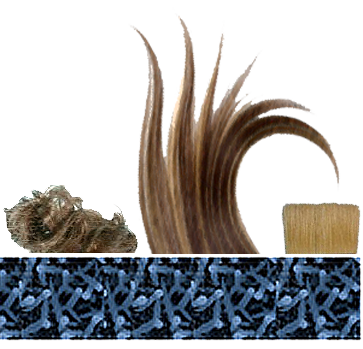 A nanometer is one billionth of a meter or 1/50,000 the thickness of hair. In the time it took you to read this, your own fingernails have grown one nanometer!!! 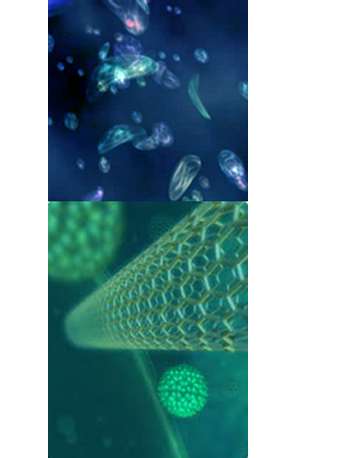 Nanotechnology is the study and design of materials and systems at the nanoscale, the scale of atoms and molecules. Scientists study nanotechnology to find new behaviors and to create new technologies. Nanotechnology is in the early stages of development but is thought to be the next technological revolution. Nanotechnology contributes to the design of products, and nano products are already everywhere! Nanotechnology makes products cleaner, stronger and better. Stain resistant pants, self-cleaning windows, stronger and lighter car bumpers all use nanotechnology. Groups of physicists, chemists, materials scientists, biologists, engineers, IT researchers, meteorologists and engineers collaborate on nano science and new nano innovations. Activity 1 – How small is small? Research nanotechnology. Find out just how small a nano is! Compare the size of things and make a diagram that labels the scale of a nanometer. Activity 2 – Nano Where? Walk through your home, your school and your neighborhood. Take your journal. Find examples of nanotechnology that are in your world now. Photograph them, draw them and put them in your journal. Describe how nanotechnology is used to make something better, stronger or cleaner. Using your journal notes, and your research, come up with your own nanotech invention. Opportunities are endless! Nano-scale is 1/1,000,000,000 or 1 billionth of a meter. Scientists can measure nanometers without special instruments. Nanoscience is a multidisciplinary collboration. Carbon nanotubes are 50-250 times stronger than steel. What kinds of concerns does nanotech have? TEDed How Small is an Atom? What size is Nano size?